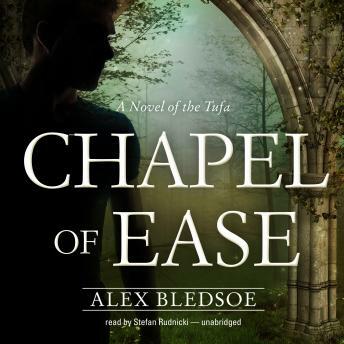 When Matt Johansson, a young New York actor, auditions for Chapel of Ease, an off-Broadway musical, he is instantly charmed by Ray Parrish, the show's writer and composer. As their friendship deepens, Matt learns that Ray's people call themselves the Tufa and that the musical is based on the history of his isolated hometown. But there is one question in the show's script that Ray refuses to answer: What is buried in the ruins of the chapel of ease? As opening night approaches, strange things begin to happen. A dreadlocked girl follows and spies on Ray. At the press preview, a strange Tufa woman warns him to stop the show. Then, as the rave reviews arrive, Ray dies in his sleep. Matt and the cast are distraught, but there's no question of shutting down, and the run quickly sells out. Matt volunteers to take Ray's ashes back to Needsville, where he hopes to understand more about the play and uncover the secret that Ray took to his grave.